When there is snow and ice on the roads, the loss of grip can make you quite easily lose control of your car as you skid all over the place. For countries like the UK where snow is sporadic, snow chains can be too costly and fiddly to use unless there is a constant amount of snow always on the roads. I have discovered you can buy textile snow chains that are easy to put on and cheaper than snow chains. 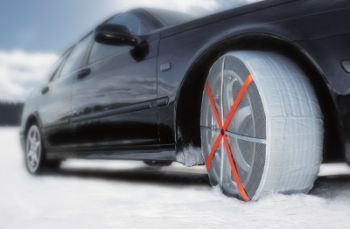 This review of snow socks for tyres shows fabric snow chains provide a quick, easy to fit alternative to snow chains and mean that you don’t have to swap to winter tyres. 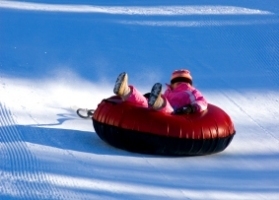 Snow socks are textile snow chains that you slip over the driving wheels on cars or light commercials. On 4×4 cars, you put the snow socks over the front tyres. These fabric snow chains provide grip on icy roads. There’s only one possible way to fit them, so no practice is needed. Snow socks for tires are reusable time and again and take up minimal space in the car. How do Snow Socks work? Snow and ice sticks to fabric, which is why many people still put woolly socks over their shoes when walking on ice or snow. The specially developed textile on a snow sock “wicks away” any water that’s found between the ground and the tyre, (generated e.g. by the warmth of the sun, or wheel spin), improving the dry friction grip. The textile also has an unusual weave which maximises the friction contact with the ground. Are Snow Socks Any Good? If you want to see if snow socks are any good, review the snow socks video below. What do drivers think about Snow Socks? Lots of people are raving about how great snow socks are, especially BMW drivers who have rear wheel drive on their cars. In icy conditions, rear wheel drive cars are nearly impossible to drive as the back end skids all over the place. So, which should you buy – snow chains or snow socks? If you are going to be driving where there is a constant amount of snow and ice, then you would be best to go for snow chains. If you are driving on a skiing holiday, you should buy snow chains as they are a legal requirement in most of the skiing resorts. Check before you go. Where there is only snow now and then, such as in the UK and Western Europe, you may prefer to buy snow socks for your tires.. You can buy Autosock or Multi-Grip snow socks for cars. 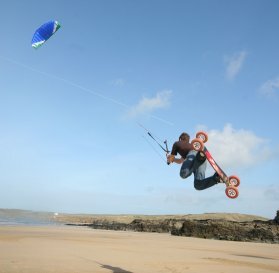 AutoSock provide an ideal “Get me Home” or “Get me to that meeting” solution. They work well in wet snow conditions and are therefore particularly appropriate for the UK where snowfall is sporadic and few people use winter tyres. Even 4 x 4s usually have wide tyres which are wholly unsuited to winter driving. The good news is that AutoSock have been shown by the TÜV to be more effective than winter tyres, with the further benefit that you only fit them when you need them. Snow socks are good for cars with limited clearance around the wheels as there is nothing that will rub the back of the tyre. Fitting a snow sock is also easier than snow chains as there is nothing to adjust and they automatically self center as you drive. Since there is no metal chain in contact with the road, snow socks are totally smooth running with absolutely no vibrations or noise being apparent. IMPORTANT: Snow socks should be removed once you get your car back onto tarmac, otherwise the fabric of the snow sock will soon get worn. What Brands of Snow Socks can you buy for Grip in the Snow and Ice? When you’ve had the opportunity to test snow socks for tyres, you’ll make sure you have a set in your boot in snowy weather. Most people are not only surprised but astonished at the difference fabric snow socks make to general traction, cornering, and braking. You can buy all makes of snowsocks from Amazon.co.uk in the UK with prices starting from £38 for a pair of snow socks.